30 km south of Digne. It's on the Train des Pignes railway line. 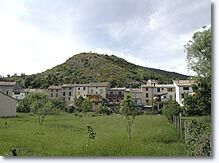 Barrême is rich in fossil-bearing sites, and is proud that it gave its name to a period during the secondary era, the Barremian. 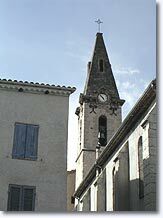 Don't forget to visit its geological museum, based on the private collection of the paleontologist Louis Maurel. 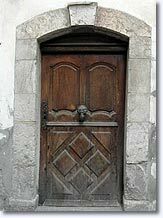 Barrême is located on the famous "Route Napoléon", and boasts a house where the Emperor spent the night of 4th March 1815, as indicated by a commemorative plaque on the house front. Barrême was once well known for its lavender distilleries, and to this day there is a quality label called "lavande fine de Barrême". 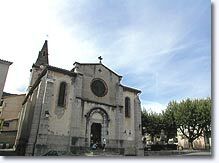 Today it is a large market town concentrated along the main road, with its church square planted with plane trees, its round fountain with 4 water jets and its café with terrace - typical of Provence. If you walk along its side streets, you will be able to admire some fine dressed stone houses, and two or three doors dating back a couple of centuries ! ake a stroll along the river bank (Asse de Moriez is its name) shaded by poplars, from where you will have a delightful view of the village, with its pastel façades nestling up to a verdant hillside. Perfect if you're looking for peace and quiet, or if you're a fisherman ! Fishing in 3 rivers. Hunting. Forest walks. Paragliding and hang-gliding. 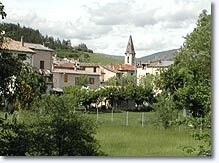 Senez (5 km), St André les Alpes (7 km), Moriez (10 km).